I graduated from Indiana University on May 7th, and after a few days off, headed out on a two week trip to the Northeast with my band Whale Bones. The entire experience was incredible, and I'm so grateful to have had the opportunity to travel and play music with some of my closest friends. I'll do my best to briefly highlight some moments on the tour. 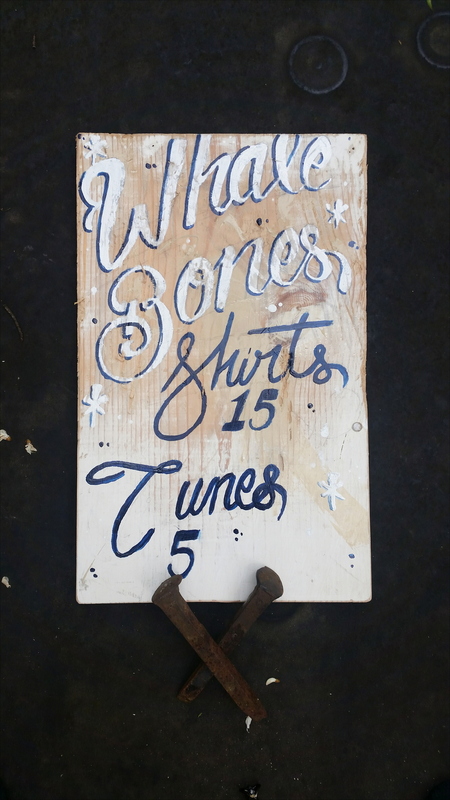 In preparation for tour, I cleaned up some gear, organized merch, and painted a new sign for the merch table. Our first show was in Bloomington with House Olympics, Secret Grief, and The Fever Haze. We closed out the night and were able to play two songs before the police came and shut everything down. After that, we packed everything into my car and headed out to Cleveland. We played at an art gallery called Negative Space in Cleveland. There was a Korean supermarket on the floor below us. The show was awesome and the owner Gadi was such a nice guy. Our friend Michelle Gaw played with us, and let us sleep at her apartment that night. The next day we headed to the Rock & Roll Hall of Fame. Touring bands get in for free as long as they bring in a copy of their CD, so I guess you could say we're in the HOF now. When we left the R&R HOF, it started snowing, so we took that as our cue to head to Pittsburgh. Pittsburgh was really cool, although our stay was very brief. We played at a cool DIY space called The Mr. Roboto Project. 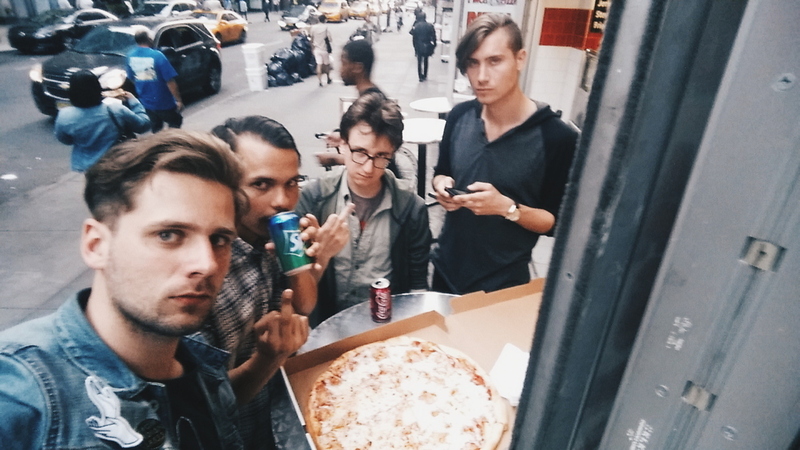 We got pizza across the street and then headed out. 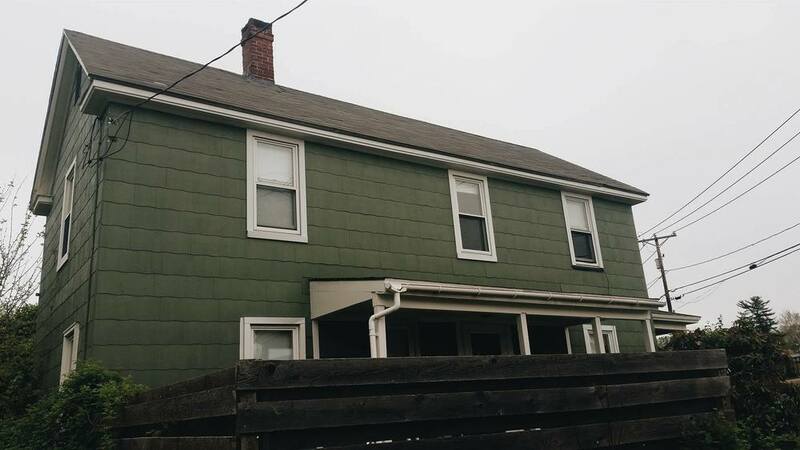 We listened to Pianos Become the Teeth's "Keep You" on our drive to the house we were staying at. 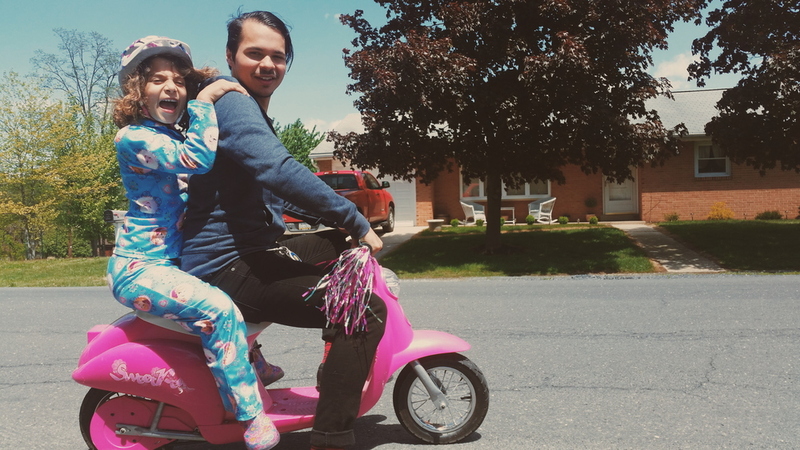 Nick has family in Southeast Pennsylvania, so we made our way out to them. We ended up getting in really late, and immediately fell asleep. In the morning we had a wonderful breakfast and played with Nick's cousins. We packed everything up and headed to Silver Springs, MD. 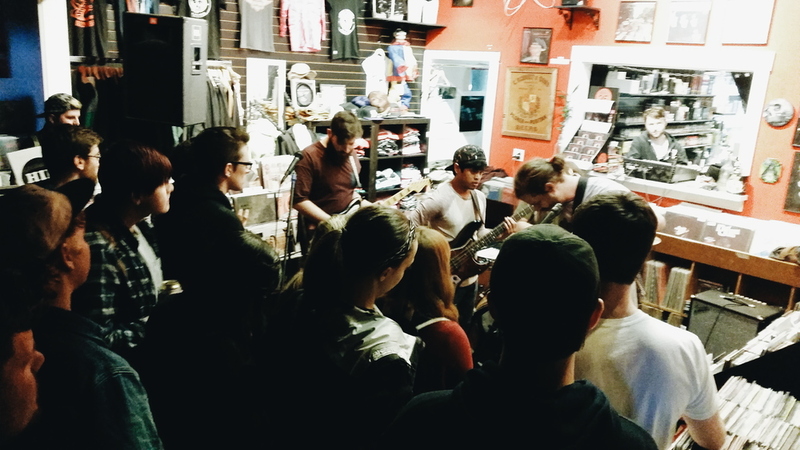 We played at The Record Exchange in Silver Springs. We loaded all of our gear into the venue and then took the metro into Washington D.C. After some quick touristing, we headed back and played the show. My friend Jen came to the show and after our set, we headed back to D.C. with her to hang out. 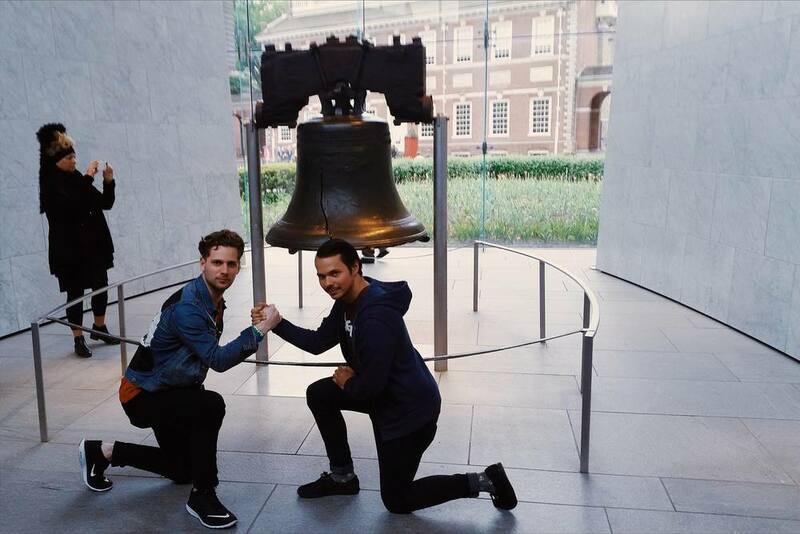 We spent our off-day in Philly and explored a lot of the historical landmarks for the majority of the day. We later met up with our friend Matt from Jank and they showed us North Philly and let us spend the night with them. We ended up seeing our friends in The Cardboard Swords play a show at Creep Records that night, and then went and got drinks with them afterwards. The next day, we headed out to New Jersey, but first, we made a very obligatory stop at Tony Luke's for some Philly cheesesteaks. We got to Boonton, NJ early and decided to explore the town. We ended up finding a gated off trail that led down to a river. We spent the afternoon there exploring. The show at Boontunes was awesome. My long-time friend Julia came out to the show and we ended up getting food afterwards. Nick got majorly hover-handed. We stayed with Joe of Invalids and In Angles and had a blast hanging out and recording a little bit for the Choke Artist Podcast. We were fortunate enough to have someone able to help us get on a show in Long Island last minute. By chance, the show happened to be with The Cardboard Swords, which was a fun surprise. We spent the afternoon exploring the town and rehearsing a bit before loading in at The Amityville Music Hall. The show was a lot of fun, and TCS killed it per usual. We stayed a block off of Wall Street that night, and then woke up and explored Manhattan. We did all the obligatory tourist things, but also saw some cool out of the way stuff. Later in the day, we met up with my cousin, Sean and went to Brooklyn. We caught a set by the awesome folks in Slingshot Dakota. The next day, we spent the afternoon in Brooklyn. There is a sign painter there named Steven Powers that I really admire, and we went to his sign shop to look around. We then went over to the Brooklyn Museum, where Steven has a really amazing installation. I spent probably 20 minutes trying to soak in everything that I could in his small part of the entire museum. I'm definitely inspired now to do more sign painting. We got caught in really bad NY rush hour traffic, but eventually made it out to Massachusetts. The next day we woke up in lovely Amherst, MA. It was a cold night, but it made for a perfect day. We met up with our friend Anna for some Chinese buffet. Later we made it to Sutton, MA, where we went to Purgatory Chasm for some adventuring. I have never been to a state park where there was so much climbing to be done. We didn't even scratch the surface . It was such a beautiful hike/climb. I can't wait to go there again. The show that night was at a place called The Shop in Worcester. Right next door to the venue was a bike workshop. Throughout the evening you could hear bikers working on their motorcycles and burning out in the parking lot. We played a really fun show and then drove to Andover to sleep. The next day we had a long drive to Rochester, where we ate garbage plates for the first time. This was an extremely unhealthy decision, but I'm not disappointed that it happened. The show was at an amazing DIY space called The Vineyard Community Space, and had a great turnout. Right next door was a church that had been changed into a barcade, so we spent a little bit of time there. After the show we drove to Buffalo to stay with our friend Anna. In Buffalo we, of course, went to Niagara Falls, which was beautiful. We ate at Gabriel's Gate, and then went to the show. We played in a really cool attic and had a lot of fun meeting new friends and hanging out with old ones. Paul ended up seeing one his favorite bands, Born of Osiris, at another venue after our set, and hung out with them for a while after that. We stayed up way too late, and then got up early to head back to Bloomington. This tour was an absolute dream. Thank you so much to every band, promoter, and friend who let us stay with them. You are amazing and I am eternally grateful. I can't wait to get back out and play more shows! I was blown away by the response from this tour, and it will be great to see more of the country while playing these songs.